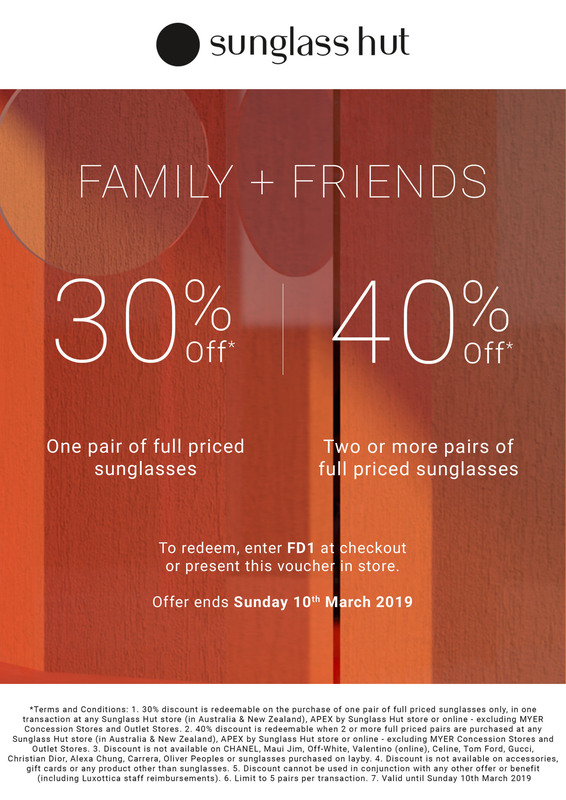 30% off for one pair, 40% off for two or more. Shipping is free for NZ. Prices are in NZD (making sure you have the NZ selected on the top right). Excludes CHANEL, Maui Jim, Off-White, Valentino (Online), Celine, Tom Ford, Gucci, Christian Dior, Alexa Chung, Carerra, Oliver Peoples.